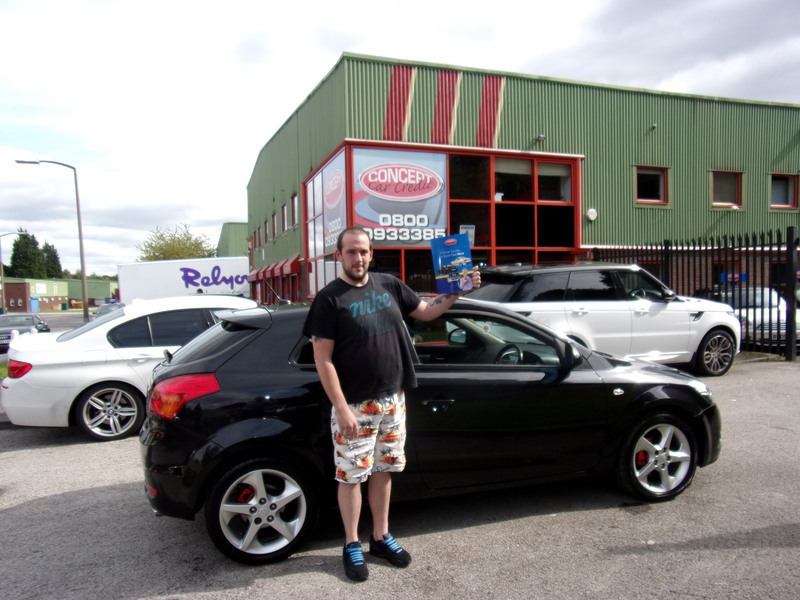 I made an enquiry at 9.30am with Concept after finding out my beloved Zafira was on it’s deathbed and needed too much money spent on it to pass am M.OT, I needed another car quickly and due to the extremely pleasant and professional Miss Avey by 5.30pm I was driving away with a 4 year old Ford Focus, it took longer to drive the 20 miles home stuck on the M60 than it did to View, finance, test drive and complete the deal with Concept !!! I found my experience with concept an easy and stress free one. It’s not the first time I have used concept car credit and I was upgrading and drove my new car away the following day. The staff are amazing and bent over backwards to help me get all the paperwork signed. Overall I’m really pleased with the guys and girls and customer service they provided. They have a good selection of cars too. I want to say thank you the service was second to none and thanks for the great car I want to say thank you to Laura for moving mountains to make sure I got a car that was affordable . So thank you guys I will recommend your company to family and friends and will see you again the future. Absolute brilliant outstanding company. Wouldnt go anywhere else. I have and would recommend this company to everyone. 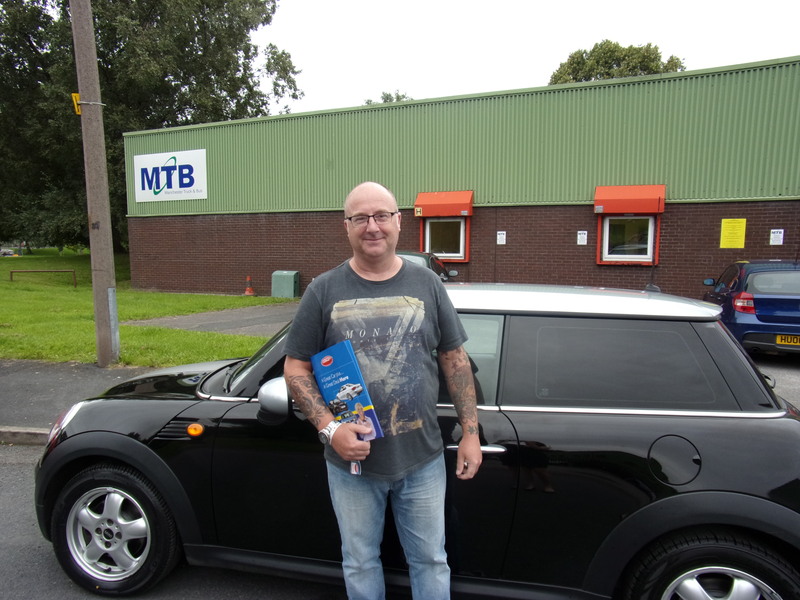 I didnt have a brilliant credit history to previously having cancer and Gaz and the team done their upmost to ensure that I got the car that I wanted. Well over above and beyond of what I expected. Firstky I applied and was accepted the company even paid for a taxi for me to get to them . Even when I purchased the car I was so nervous to drive as I hadnt driven in such a long time they offered to drive me home and the car seperately. After going on a test drive with Gaz he gave me the confidence to drive home. Gaz even rang an hour later to see if I had got home safetly. So many personal touches that you didnt expect. I would advise anyone who wished to purchase a car to definitely use this company. I personally received an outstanding service from them. Now this is what I call a one stop car shop. Everything was made so easy and without any dramas. Was looking for a new car for the wife and came across this website on the net. Filled in her details on there and we drove off the next day. Simples. Big thank you to Jamie ???????????????????? for making the transition a smooth and hassle free ride. Now the Mrs rides with style….I’d recommend this to anyone looking into getting a car even if you don’t have a credit score like Bill Gates cos I defo wasn’t. Thank you Concept Car Credit. Looking forward to visiting again and by the way Jamie….your gona be getting some of my mates come visit you. Cheers. Thanks very much jemmy ,for helping me to get a car finance,with good affordable rate of payment .thanks for lokin after me hope to see you again nd again ???? Drove down to Bolton from gateshead……would just like to say thank you for the professional service I received ….I wish I could remember the young girls name…my apologies for not! 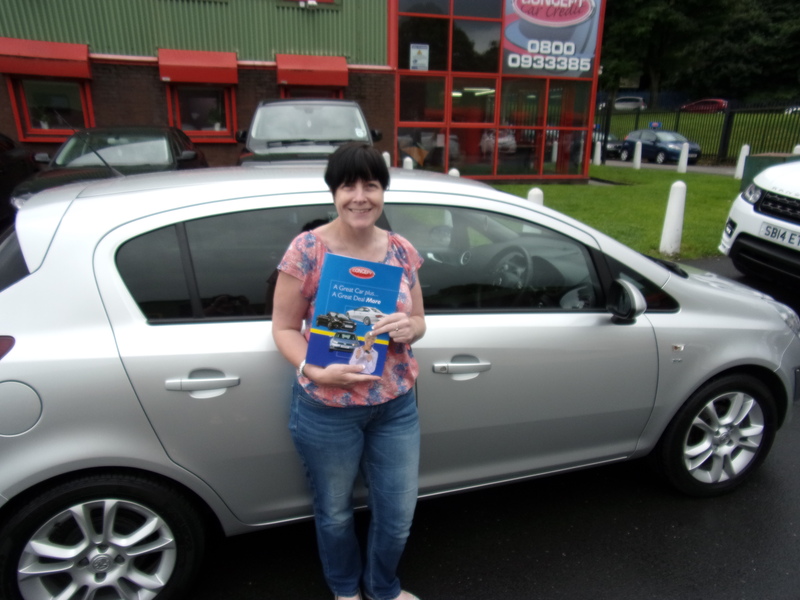 But she was fantastic….arranged everything for me….overcome one or two problems I had with the finance…..she sorted everything out for me…..and I left with a lovely 3 yr old zafira…..I would recommend this company to anyone for their service and professionalism! Can’t thank you enough! Well worth the drive down…..and to all the companies in the north east….you need to learn from these people how to sell cars and how you administer customer service! I am what you might a difficult customer to find credit for. I cannot thank Neil enough for getting my finance agreed on the same day with a car I am over the moon with. Neil is a credit to the company. We are absolutely chuffed with the car we got from concept. From when we walked in until we left with our car all on the same day. The customer service from Karen was excellent I don’t know what she earns but it should be more. Thanks again concept my son will be up soon. 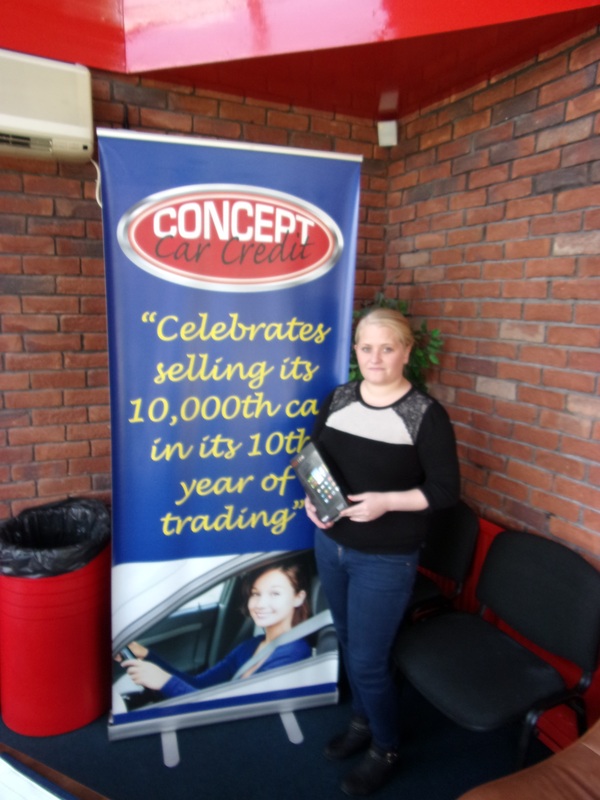 Today we have purchased our second car with Concept. JP who dealt with us for a second time, was once again, quite frankly fabulous. 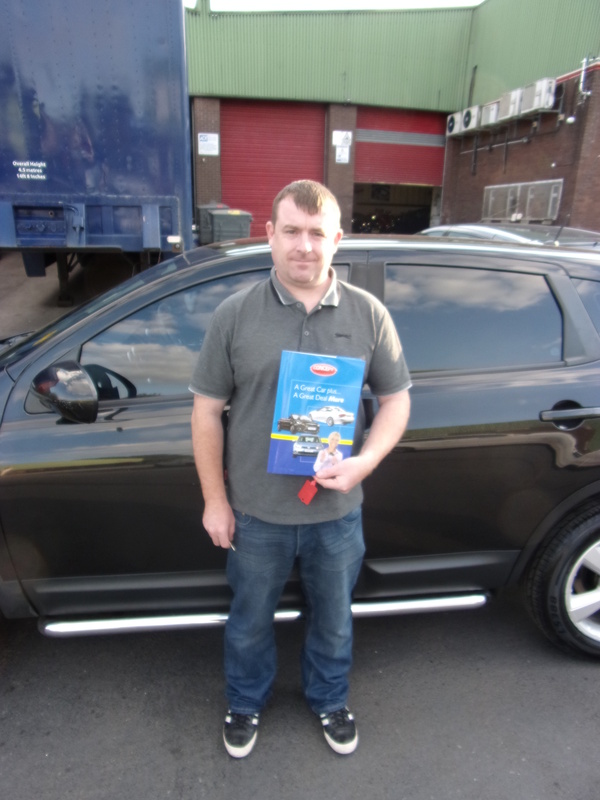 His knowledge of the vehicles, finance options and affordability was second to none. I turned out to be a particularly difficult customer but his helpfulness, general demeanour and enthusiasm was second to none. He delivered everything as promised. We look forward to seeing him again in 3 years. As a whole, Concept and their staff cannot be faulted. Would definitely recommend you visit them. They do what they say! 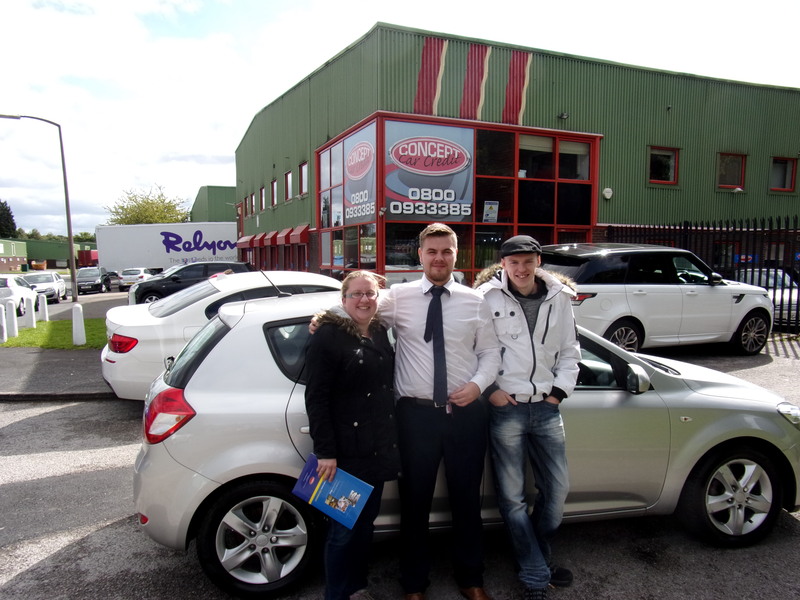 Quick, efficient service, can’t believe how quick everything was sorted, Becky was lovely, when she said she would phone me she did, they take you around to look at the different cars, test drive as many cars as you like. I love my new car, they even delivered it to my door the next day. I was the lucky winner of the Kindle Fire HD6. Very happy, fast professional service with Laura. Hassle free we got a nicer car than we get for anywhere else. Payments was quite low aswell! Dealt by Gaz and Dave, really good service! Only came round a look and drove away with our new kia proceed sport! Told my sister already to come down and get a car. Great deal, its been fab with Jamie and everyone at concept. Helped us save money on our insurance on our brand new insignia! Will be telling our friends and family about this company. ???? Really surprised of how quick I could drive away at concept car credit! No messing around! I dealt with Adam all the way through. I arrived not knowing what to except but I was pleasantly surprised. Met by Laura who explained things very well and the whole process was pleasurable! The process was very quick from start to finish. Laura was very helpful and understood my needs and what car I was looking for.